I attached AN fittins and line and ran it out of the belly pan. It might be a good idea to put a small air filter in that fuel tank vent line to prevent dirt being sucked into the tank. I can tell you my experience in Tech and I learned something. My vent consisted of a 1/2 tube coming out the top of the tank wiht a loop coil, a right angle down, exiting out of the bottom of the trunk with a check ball fitting mounted on the bulkhead fitting on the outside of the trunk sheet metal. The car had passed tech at el Mirage with the previous owner so I did not put much thought into it. When I got to SpeedWeek tech the inspector showed me where that set up would work fine if the car landed on it's roof and fine if it landed on the driver's door. But the vent was on the right hand side of the fuel cell. If it ended up tipped up on the passenger door fuel would siphen out because the vent was now the lowest side of the tank. We added another right angle and took the vent to about 2" past the left side of the tank where it would be would always be at the highest point if the car ended up on either left or right door. Visualize the car sitting on its roof, left or right door. If the vent opening is the lowest point of the tank it will siphen. That's my non-engineer explanation. I am sure there are others that can articulate it better. I zip tied a piece of scotch pad around the vent to limit the salt and crud from entering the check ball. If it ended up tipped up on the passenger door fuel would siphen out because the vent was now the lowest side of the tank. We added another right angle and took the vent to about 2" past the left side of the tank where it would be would always be at the highest point if the car ended up on either left or right door. Visualize the car sitting on its roof, left or right door. If the vent opening is the lowest point of the tank it will siphen. . . . Even through the check valve? because laying on its side the check ball is no longer covering the vent hole. Its just a SS ball bearing engaged with gravity not a spring. Upside down on the roof it would work fine. But because the vent was on the right which would be the lower side of the tank if the car was laying on its right door. The ball would be laying on the side of the vent fitting channel allowing the fuel to flow out. The tech inspector was great, noted this issue, gave me his advice on a quick fix and then came down to our pit to crawl under the car to see our fix. He signed my book and we headed out to do our license runs. The earl's check valves have a viton flapper valve which should work in any position, right? Or is this something else I'll have to update/fix? 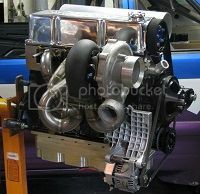 http://www.summitracing.com/parts/EAR-251006ERL/ (other sizes available, of course). I started a thread a while ago Wayno and the answer was as Bill said. The end of the vent line to be diagonally opposite where it exits the tank, both crossways and front to back. That way regardless of how the vehicle ends up laying it can't syphon. I'm still putting a check valve in mine as a belts and braces approach. Mike, I've got the exact same thing on mine. It remains normally closed regardless of position, will let air draw into the tank, and when it encounters fluid pressure it seals up tight. Since we are down for the rest of the season at the Ohio mile I recon I'l add one to Amy's car. Safety First. That IS What I do for a living. loops or sags can P-trap effect this will cut of the venting action and CAN starve an engs. fue with catastropic effect! !